The idea of running an inflatables business is one that sounds easy enough to do on paper. You simply find the right jumper for sale and purchase it. Get a couple of them in your arsenal of jumper houses and then you can start renting out one jump house at a time, or even more. But there are a lot of things that you need to think about as well, including getting a business plan set up as well as getting insurance. The idea of needing to have insurance is very intimidating to many people, and they often let go of their dream of starting their business simply because they’re too worried about the insurance portion of owning a business. But you shouldn’t let insurance prevent you from starting your inflatable jumper business. The first question that people always ask is: “why do I need to have insurance if I’m going to be in charge of my own business?” The truth is that there are a lot of small business companies that are begun that don’t require insurance to get them started, but these companies aren’t renting out items where children or adults will be bouncing around. Before you even begin your quest to purchase a jumper for sale, start looking into the different insurance options that you have. There are a number of different options that you’ll find available, and a number of different companies that you can purchase your insurance from, so make sure you do some comparative shopping to ensure that you get the best rate for your needs. One of the best things about having insurance is that customers will feel much more comfortable renting a jump house from you. They will know that should anything unforeseen happen, they’ll be covered by your insurance. And you can rest more comfortably as well, as you’ll know that if something does happen, because no matter how diligent you may be you never know when an accident will occur, you’ll be saved from going completely broke. When you are ready to attain your dream of running your own business, make looking at insurance options your first step. While it’s fun to look for a jumper for sale, if you don’t have insurance you won’t be able to rent out the jump house you’ve purchased. Get the rates before you purchase your jumper and you’ll be in great shape to have a business that is set to succeed. There are many people who start up new companies on a regular basis. They know everything that they need to do in order to get the most profit out of their company in the least amount of time, and they make starting a business look extremely easy. This, however, is not the case. Anyone who has ever tried to start a company with little experience will tell you that it takes a lot of hard work to get your business to become profitable. If you want to start a bounce house business you’ll need to have a few things, and you’ll definitely need to find a great bounce house manufacturer that you can trust in. One mistake that a lot of rookies who are starting a business make is that they think that they need to have everything right off. They think that they need to have the best computers, for instance, or the top-of-the-line cell phones. When, in reality, the best way to make the most profit from your business is to start with only having the basics. When you’re talking about running a bounce house rental business, the basics are actually pretty easy to get. First you’ll need to have some jump houses to rent out. 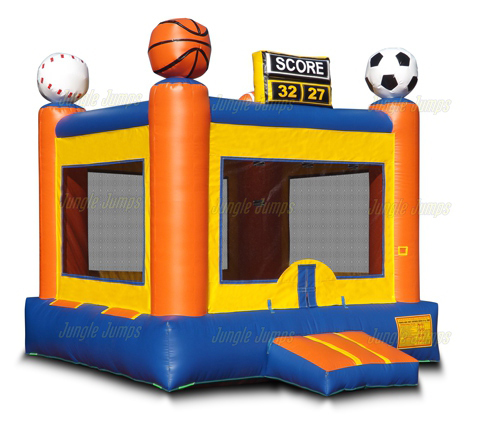 Find a reputable bounce house manufacturer online and figure out which bounce houses are going to be the ones that are the best for your area. Try to get houses that no other inflatable rental business near you offers, so that you can offer something completely different. How many houses should you have? 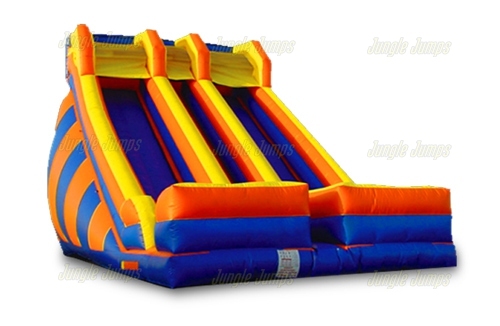 Experts suggest having three: two large ones and one smaller inflatable, such as a slide. 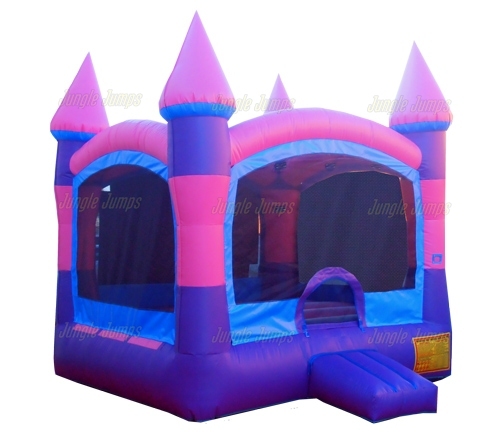 If you have the right bounce house for your business, you’ll also need to have a reliable vehicle. 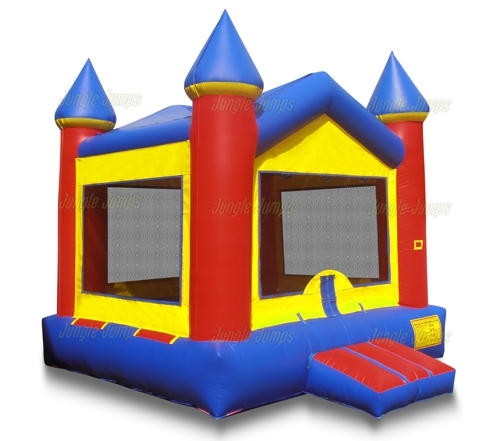 With the bounce house rental business it’s customary for the renting business to go to the location of the renter and to put up the bounce house. This means that you need to have not only a reliable vehicle, but also one that has a large enough cargo area to carry the bounce house. Some businesses opt to use trucks, others wagons, and some use minivans. Aside from doing the paperwork, getting insurance, and figuring out how much you should rent your inflatables for, the few things listed above are truly the basics that you’ll need to start your rental company. Most smart businessmen and women do all of the math before they take any actions. This means that before they bought any moonwalks for their inflatable jumper business, they figured out how much they would need to charge to rent the moonwalk for in order to turn a profit. One thing that many people don’t think about when they’re looking to rent out their inflatables is the option of offering package specials. But if you do it right, package specials can help you to earn the most money and to get the most business possible. Experts in the inflatable jumper business suggest that you buy more than one type of inflatable when you first start your business. 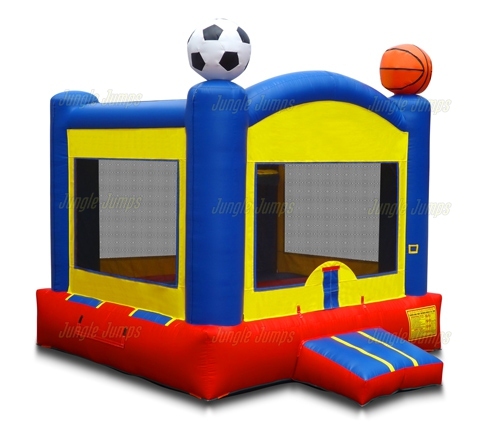 They suggest purchasing at least three different types of bounce houses, or slides, so that you can have a variety to offer to your customers. You’ll also find that many moonwalk companies also happen to sell party supplies as well. One great way to offer package specials, without renting out more than one moonwalk at a time, is to purchase party supplies to rent. Buy a hot dog steamer or a cotton candy maker and offer a special. There are all sorts of combinations that you can make, you have only to figure out what option will be the best and most profitable one for you. Make sure, when you’re putting together your deals, that you are not only going to turn a profit but that you’re also going to give your customers a real deal. They won’t want to use the package option if they’re only going to save $5. They need to actually save a decent amount of money in order to make them want to take advantage of your package deals. You can also do special package deals, such as letting your customers have free use of your hotdog steamer when they rent your bounce house. If you opt to do this, make sure you say on your advertising exactly how much money the customer is saving when they rent the moonwalk and get the hot dog steamer for free. These special deals can be a great way to get people in to try your business and your moonwalks and can help you to get a good lock on new customers. When you’re talking about building up your bounce house business, there are a number of different things that you can do. There are all sorts of promotional options that you can look to, from paying for more advertising to lowering your prices for a specific amount of time. One thing that you may want to think about, if you’re looking to get more action from the bouncer you purchased from your inflatable manufacturer, is to have a free day. Many people who use the bounce house they got from their inflatable slide manufacturer to have a free day find that this is the best way to bring in new customers. What is a free day? A free day is when you offer to let people enjoy your bounce houses for free. Yes, it does seem like it’s counter-productive to let people use the house you purchased from the inflatable slide manufacturer for free, after all you need to recoup your money somehow, but in reality it’s actually a genius marketing gimmick, especially for people who are renting out bounce houses. The first thing you require is a place. Where are you going to set up your bounce house? If you’ve got room at your house you may want to do it there, but if not you might want to look into having your free day at a park on a Saturday or Sunday afternoon. Parks are a great place to attract the attention of kids, and their parents, and to entice them to try the bounce house from the inflatable manufacturer. Make sure you check with the city that you live in before you put up your bounce house to make sure that you don’t need any specific permits, and if you do need permits, make sure that everything’s in order before you even begin to announce your free day. Once you’ve got the permits (if you need any) lined up and taken care of, it’s time to announce your promotional day! Put posters up around the park that say when you’re going to be having the free day, and what you’re going to have available at the free day, such as if you’re going to hand out hot dogs or cotton candy as well as letting children enjoy the bounce houses. On the special day make sure you’ve got everything in order. Put up your bounce house early and get any free food ready to go. Then welcome everyone to enjoy the bounce house for free. Make sure you hand out business cards or fliers that advertise your company to everyone who comes. Sooner than you know you’ll find that you’re getting almost more business than the bounce house you got from the inflatable manufacturer can handle! The idea of running an inflatables business is one that sounds easy enough to do on paper. You simply find the perfect jumper for sale and purchase it. Get a couple of them in your arsenal of jumper houses and then you can start renting out one jumper house at a time, or even more. But there are a lot of things that you need to think about as well, including getting a business plan set up as well as getting insurance. The idea of needing to have insurance is very intimidating to many people, and they often let go of their dream of starting their business simply because they’re too worried about the insurance portion of owning a business. But you shouldn’t let insurance prevent you from starting your inflatable jumper business. The first question that people always ask is: why do I need to have insurance if I’m going to be in charge of my own business? The truth is that there are a lot of small business companies that are started that don’t require insurance to get them started, but these companies aren’t renting out items where children or adults will be bouncing around. Before you even begin your quest to purchase a jumper for sale, start looking into the different insurance options that you have. There are a number of different options that you’ll find available, and a number of different businesses that you can purchase your insurance from, so make sure you do some comparative shopping to ensure that you get the best rate for your needs. One of the best things about having insurance is that people will feel much more comfortable renting a jump house from you. They will know that should anything unforeseen happen, they’ll be covered by your insurance. And you can rest more comfortably as well, as you’ll know that if something does happen, because no matter how diligent you may be you never know when an accident will occur, you’ll be saved from going completely bankrupt. When you are ready to attain your dream of running your own business, make looking at insurance options your first step. While it’s fun to look for a jumper for sale, if you don’t have insurance you won’t be able to rent out the jump house you’ve bought. Get the rates before you purchase your jumper and you’ll be in great shape to have a business that is set to succeed.